World Water Day was yesterday. I joined my blog with the cause and together, with over 100 other bloggers, we raised over $20,000 in 24 hours to provide clean water to thousands in India! And not only clean water, but training for handpump repair men. They will now be able to get training to fix the broken water pumps and keep them working so that their clean water is not compromised, or unavailable. AND a job and income for their families!! When I found out that we DID raise the $10,000 that would be matched by The Prem Rawat Foundation meaning we raised $20,000….I literally had tears in my eyes!! I think the only reason they didn’t come tumbling down my cheeks was because Caleb was around and my attention was divided. Now, PLEASE don’t take this as a guilt trip! Keep reading, because this IS going somewhere! I know I don’t have a lot of readers, and that’s totally ok. I do this blog much as a processing place for me. If anyone else can learn some things with me, AWESOME! But I REALLY wanted to make a difference. I SO wanted to help change the lives of these precious people around the world. And I found a way that I could do that with this blog. But it didn’t seem like that happened. God humbled me and gave me better perspective. Robyn, the friend I wrote about a few days ago, does an AMAZING job helping her children have a biblical social justice awareness (is that a real phrase???). I have a hard time with that. I don’t know little kids well. My degree is in working with jr. and sr. high students….NOT preschoolers! So, I really struggle with this with Caleb. But I wanted to try SOMETHING with him. He’s getting older and I thought I would take a stab at trying to give him a little bit bigger of a world view – outside his own house! So we talked about it a little bit, talked about how we can help them even though they live far away, and how much God loves them and it makes Him happy and us happy to help them get water (and juice and milk) so they can be healthy. I had no idea if he understood or absorbed any of that! So, at bed time I took him upstairs to read his story and as he was crawling up on my lap he brought up “the kids who don’t have juice or milk or water”. He actually remembered!! And he said he wanted to share with them. He also wanted to share his snacks and ice cream sandwiches with them (clarification note: the other day he and Tim were in line at the grocery store and Caleb was asking for ice cream and Tim told him no several times. The woman in front of them in line was buying a few boxes of mini ice cream sandwiches and after paying for them gave a box to Caleb! Tim and Caleb then talked about how she shared those with him, so he could share them with others. He came up with Kyla and Corwin (his friends that I babysit on Mondays and Tuesdays)). I was teary eyed again! He actually remembered! He grasped SOMETHING. In his precious little brain he remembered us talking about kids who don’t have milk and juice and water and we can help them. I WISH I could remember the whole conversation, but it was very segmented and…well….a conversation with a three year old….so I don’t remember how all our winding paths of conversation went. But he remembered something! It was another little drip of us trying to see people the way God does that seeped into his heart. So, maybe my blog didn’t raise one dollar outside of what I gave. But I’m ok with that now. Because God DID use it to do something significant. He opened my eyes to these precious people in India. He opened Caleb’s eyes to these precious children who don’t have milk or juice or water….or ice cream sandwiches. And he wants to share with them. ****But to those of you who DID give money or pray for these wonderful people….THANK YOU THANK YOU THANK YOU!!! You changed lives you may never meet, but THAT is significant!! Today YOU can join in and change the lives of thousands of children. Thousands of moms. Thousands of dads. Thousands of lives lived healthier and LONGER! By making a $20 donation, or WHATEVER you can give, you will help to train handpump mechanics in India. These people will be able to REPAIR the water wells that have worn out and become unusable. This will not only provide them with water NOW, but into the future. It also provides a job, income, and hope to a family. I am looking for 10 readers to donate. And just to sweeten the deal, The Prem Rawat Foundation found about about this and said that if we get 100 bloggers to raise $10,000 they will MATCH IT!! You could be a part of raising $20,000 in 24 hours!! If you are willing to change the lives of thousands of people today, World Water Day, please leave a comment. I would love to celebrate with you! About The Prem Rawat Foundation (TPRF), which focuses on helping people with fundamental needs offood, water, and peace. She puts it pretty well! I have a VERY busy day today and I don’t think I am going to have time to write amidst babysitting and getting a new (well, used but new to US!) car today, so…. I’m stealing this term from my friend Robyn. She has such an amazing grasp on loving humanity. I want to be like her when I grow up!! She takes it to a deeper level. And she is doing such a crazy amazing job at teaching this to her children! I read some posts recently from her blog that just challenged me more. I feel like I have empathy, love for humanity, but I just think she has it at a deeper level for sure! This one talks about her view on her “job” as photographer. This is the one I stole “personhood” from. This is why I want to speak for those who don’t have water. 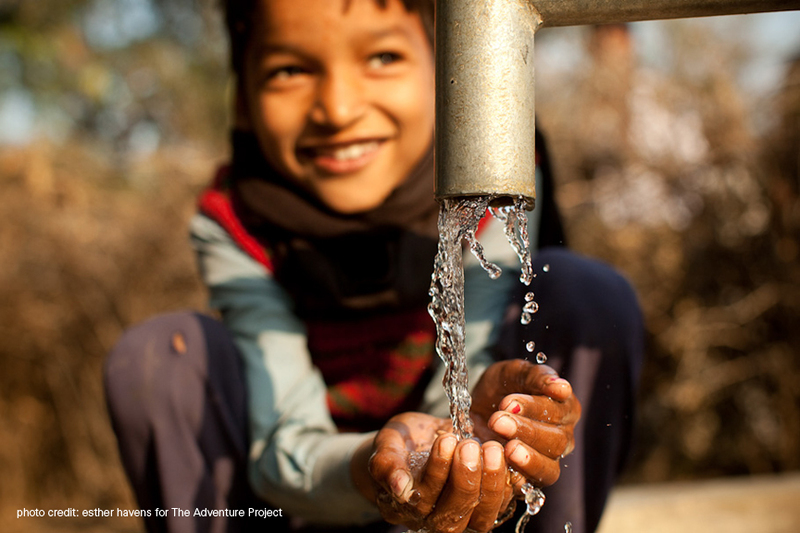 Because they deserve clean water. And they deserve the training to provide that to those around them. And to give them the satisfaction of having a job, and income, a skill that saves lives! There are too many parents who can’t quench their precious child’s thirst. They are human. Just as human as you and me. And they deserve dignity. We can help that Mommy have an answer for her little one that doesn’t break her heart into a million pieces. When that beautiful child looks up at his/her mommy, daddy, grandma, grandpa, aunt, uncle, they can say, “ok honey, let’s go get some water!” And know that it is CLEAN! And those seven little words can SAVE that child’s life! And think of how the daddy feels who comes home knowing that he has a skill that provides for his family. He has a job and a salary now! He provides clean water for so many precious people. He is doing something so that 4,000 children DON’T have to die today! They are precious people, created in God’s image. They have hopes, desires, dreams, skin, they feel pain and joy and hunger and THIRST. That’s what The Adventure Project is proposing. And YOU, yes YOU, can be a part of it!! They put out a call to bloggers to join forces for one 24 hour period and raise $10,000. This money will help bring clean water to 300 additional people each month. That’s 3,600 people per year! So, some of us are dedicating our blogs to asking you, our readers, to donate just $20, or whatever you are able to give, to provide training to handpump mechanics so that people can repair their wells in the future. One third of all handpumps installed in the last twenty years in developing countries are now broken. And 4,000 children die every day because of lack of clean drinking water. We feel that’s unacceptable. So we’re thinking differently. Instead of drilling more wells, we’re using our charitable gifts for something revolutionary – to train and employ handpump mechanics. 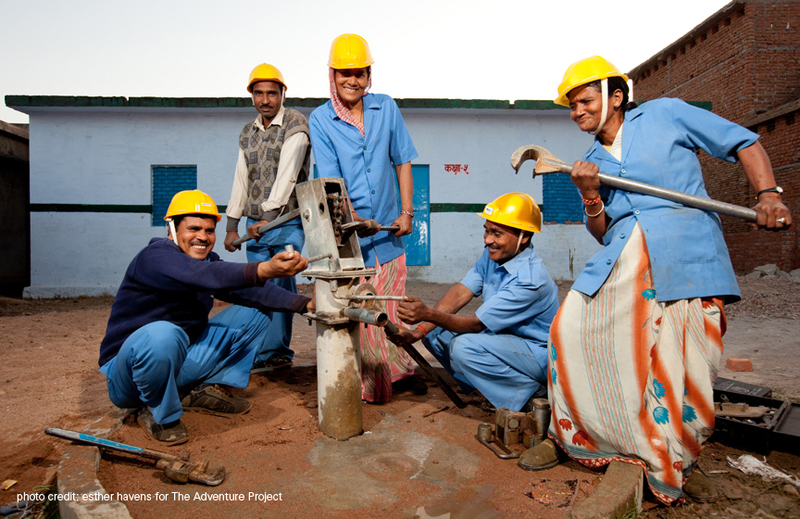 The mechanics earn an income, bringing themselves out of poverty, and they save lives – turning water back on for thousands of people each year. This initiative is taking place TUESDAY, MARCH 22. Please take some time to think about if YOU can join with us and bring clean water to children, parents, grandparents, and give them longer, healthier lives. I will be posting more on this in the days to come with more links (I didn’t want to overwhelm you all at once!). Please check back and see how YOU can get involved!